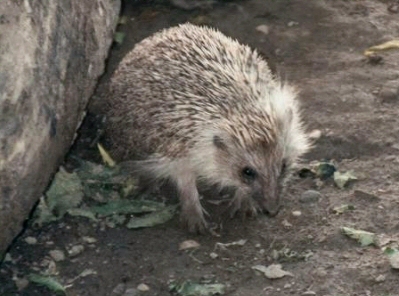 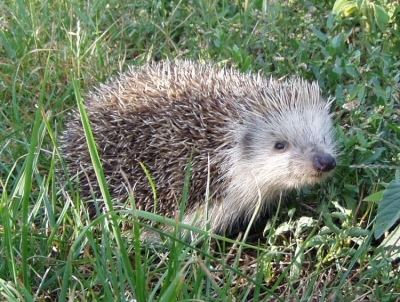 A hedgehog is any of the spiny mammals of the subfamily Erinaceinae, which is in order Erinaceomorpha. 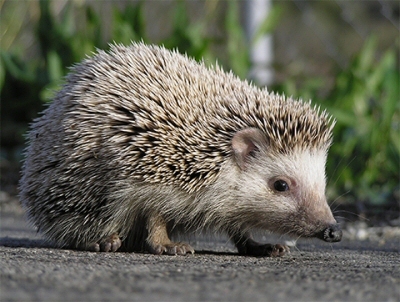 There are seventeen species of hedgehog in five genera, found through parts of Europe, Asia, Africa and New Zealand (by introduction). 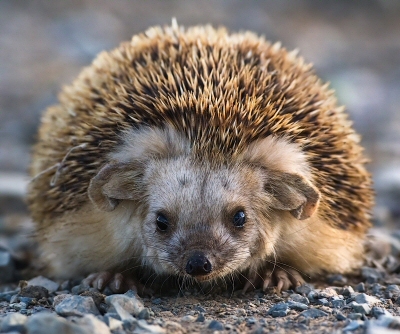 There are no hedgehogs native to Australia, and no living species native to the Americas. 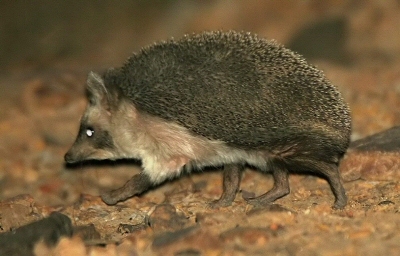 Hedgehogs share distant ancestry with shrews (family Soricidae), with gymnures possibly being the intermediate link, and have changed little over the last 15 million years. 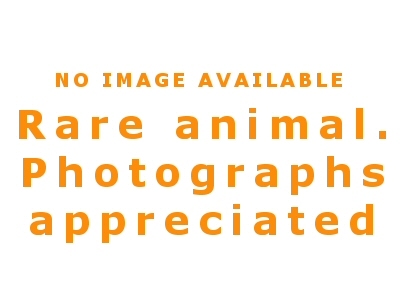 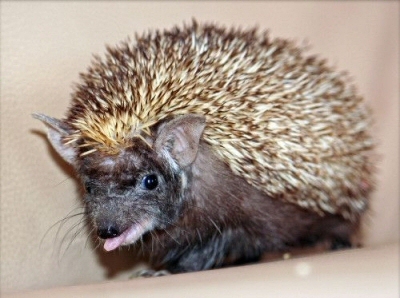 It is worth noting here that Tenrecs, Echidnas and Porcupines are not related to hedgehogs even though they look similar and some have spines. 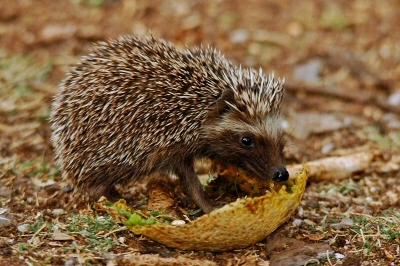 Like many of the first mammals hedgehogs have adapted to a nocturnal, insectivorous way of life. 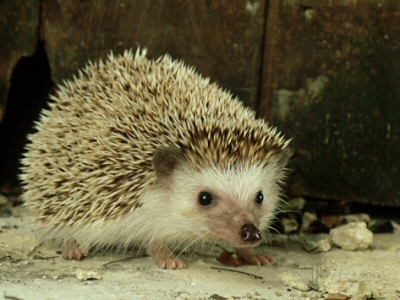 Their spiny protection resembles that of the unrelated rodent porcupines and monotreme echidnas. 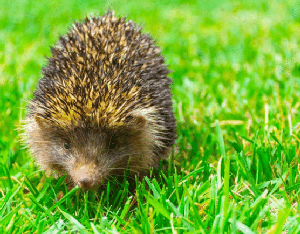 The name hedgehog came into use around the year 1450, derived from the Middle English heyghoge, from heyg, hegge ("hedge"), because it frequents hedgerows, and hoge, hogge ("hog"), from its piglike snout. 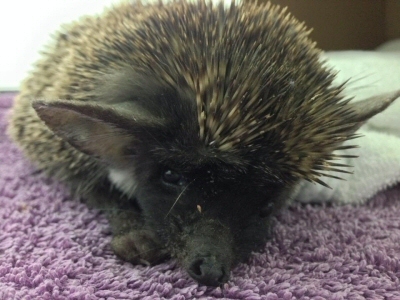 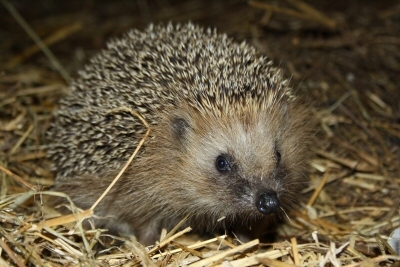 Other names include urchin, hedgepig and furze-pig. 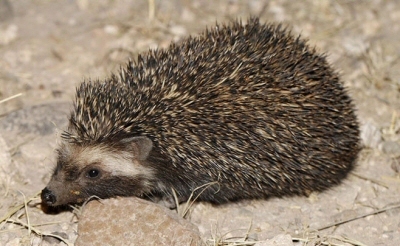 There are five genera of hedgehog containing seventeen species, however, it is worth noting that there are apparently ongoing discussions (arguments) about Hemiechinus and Mesechinus as to whether they should be classified under the same genus. 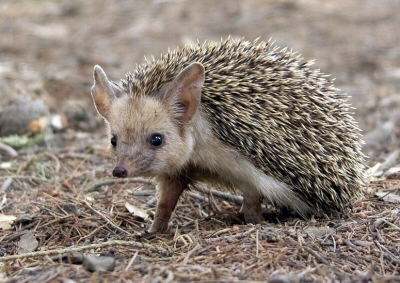 Hemiechinus and Mesechinus have for some time been recognised as separate genera but there are apparently now discussions as to whether they should be classified as the same. 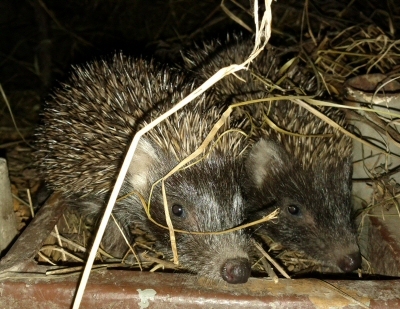 The IUCN - keepers of the red lists and global authority - as well as the only study paper we have found to date, have concluded that they are not the same, therefore, until further research has been fought over and agreed we present them here as separate genera and advise caution with information found elsewhere. 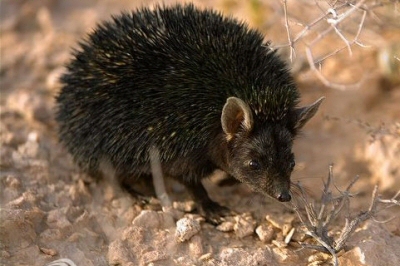 New species identified within genus Mesechinus. 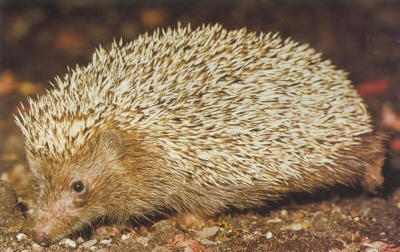 Taxonomic revision of the genus Mesechinus (Mammalia: Erinaceidae) with description of a new species April 2018 a new species Mesechinus Wangi was identified and a disputed species Miodon 'confirmed' in this paper.